We both like memes and always wanted to create our own easily. The web application sends memes to other people selects the meme based on the recording of your voice. We made our program using Python and used the PyAudio package to record your voice and convert the speech to text. We also used the Twilio API to send the memes to someone as text messages. 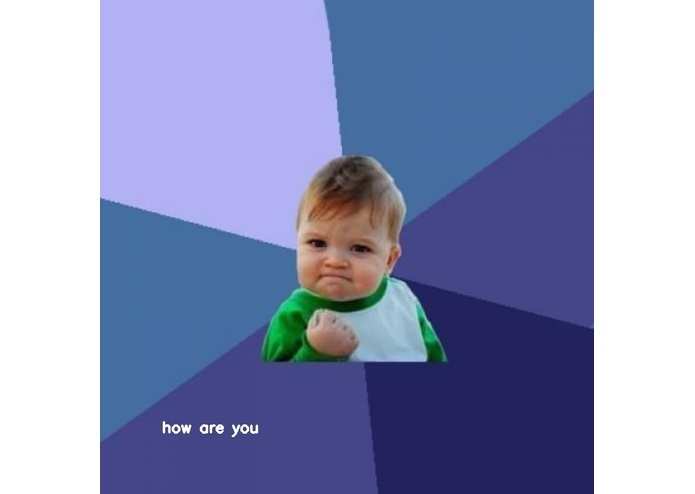 To place the text as an image on top of the meme background, we used OpenCV. To connect the front-end to the backend of our application, we used Flask. I had a hard time setting up Flask. I also was unfamiliar at first with all the technologies I used since this was my first time using them, like the Twilio API. I am proud being able to get the technologies to work together to successfully send a text message of a meme you can create on the spot. I am also proud of being able to bring laughter to people's lives for something that is used in everyday-communication. I learned how to use open-source technologies including the Twilio text messaging API, OpenCV, Python and its packages, and Flask. We want to further develop this project by implementing Natural Language Processing in order to use relevant background pictures for the memes based on the message the use says.